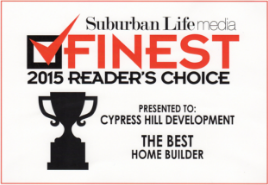 Cypress Hill Development is a custom home builder proudly serving the western suburbs of Chicago, including Downers Grove, Hinsdale, Oak Brook, Clarendon Hills, Glen Ellyn, Elmhurst, Naperville, Western Springs and La Grange. We specialize in building distinctive luxury homes architecturally suited for placement within these historic villages and surrounding communities of DuPage County. Contact us for a custom home builder in DuPage County. Creating a new custom home is an intensely personal experience, and we work hard to ensure that the home we build for you reflects your own values, needs and lifestyle. Our years of collective experience and expertise as a custom home builder ensures you have a knowledgeable, personal guide all the way through the home design and build process. 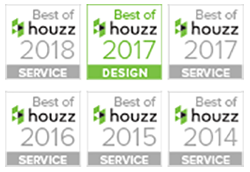 We stand behind every home we build with a full one-year warranty, and we pride ourselves on being both creative and responsive to your needs. Once you’ve been brought into the fold at Cypress Hill Development, we’re here to make sure your new custom home lives up to our high standards for both design and quality. Whether your home building project involves the full-service design and construction of a new custom home, a build-to-suit home on one of our lots, a build-to-suit home on your existing lot, home additions to your existing home, or a finished basement or other major remodeling project, we have the home design and construction management experience and personal touch you’re looking for in a custom home builder.